Named a Most Anticipated Book of 2019 by Oprah.com, Real Simple, Buzzfeed, Cosmopolitan, GoodReads, PureWow, Vulture, The Millions and more. Now eighty-nine years old and telling her story at last, Vivian recalls how the events of those years altered the course of her life - and the gusto and autonomy with which she approached it. "At some point in a woman's life, she just gets tired of being ashamed all the time," she muses. "After that, she is free to become whoever she truly is." 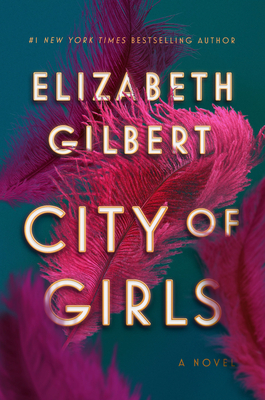 Written with a powerful wisdom about human desire and connection, City of Girls is a love story like no other. Elizabeth Gilbert is the #1 New York Times bestselling author of Big Magic and Eat, Pray, Love, as well as several other internationally bestselling books. She has been a finalist for the National Book Award, the National Book Critics Circle Award, and the PEN/Hemingway Award. Her latest novel, The Signature of All Things, was named a best book of 2013 by The New York Times, O: The Oprah Magazine,The Washington Post, the Chicago Tribune, and The New Yorker.